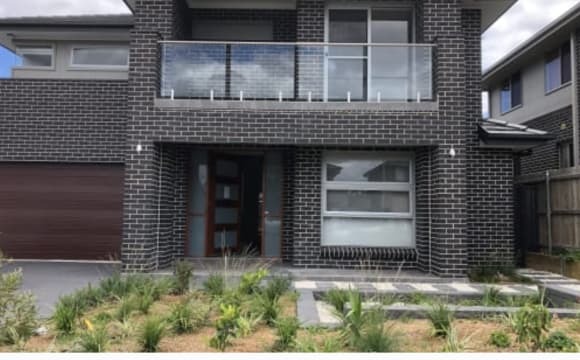 It is a brand new house with great location, 25 min walk to the Riverstone railway station, 10 min drive to the Schofields Railway station and Woolworths, 5 min drive to the new Metro station due to open in 2nd quarter of 2019, close to all amenities including Riverstone shops, gym, restaurants etc.. The house is located in a quiet and good, clean estate with multicultural neighbourhood. it is bright well-lit house with - gas heated water/cooking - Ducted AC - Front and back yard - Washing machine The available room is a fair size room(3x3.5) with built in robe for storage, large windows. Very quiet, secluded property. Lots of space so you aren't living on top of other people. Pool, bbq, undercover outdoor area. Modern kitchen and bathrooms. Aircon in main living area and fans in bedroom. Bedroom on offer has a super comfy double bed and built in wardrobe. Lots of parking off street and on street (very quiet street - no traffic through and is the only house) 4 other house mates (one has an ensuite bathroom). Ages 27 - 42. Quiet friendly house. Cleaner for shared areas once a month but you would need to keep your own room clean. 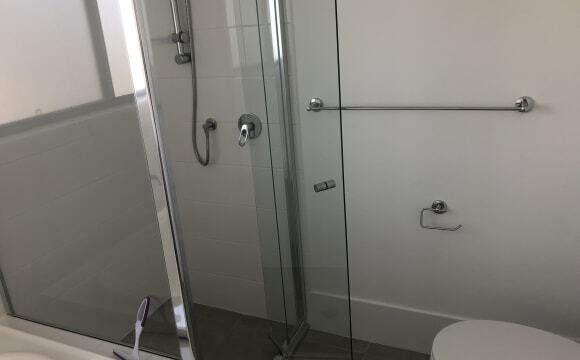 5 Bedroom 1 Study 1 Movie Room NBN 3 min drive to Riverstone station 7min Drive to Rouse hill shopping centre Ducted aircon all rooms 2 x Garage + street parking 2.5 Bathroom 15min walk to station Brand New - 3months old 25min Train to Parramatta There are 2 rooms for rent so negotiable on the smaller room. Lastly pretty flexible with partners if they are staying a few nights a week. We have Netflix, unlimited WiFi. It’s a 10 minute walk to the station, gym, park, pools and the shops are a 5 minute walk away. Public transport is also so close and easy to get to! We are looking for a new roommate for a 6 month period with the potential to extend on a monthly basis. We are in South Windsor (2756), room is ready now, our last roommate moved to Lane Cove to be closer to work. About the house: We have a 3 bedroom free standing house. 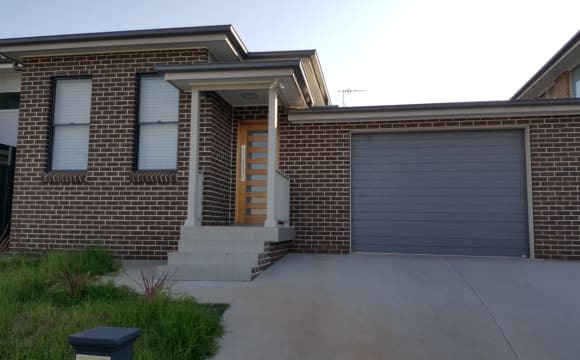 Fully renovated kitchen, fully renovated bathroom, a second toilet, big backyard, car port, entertaining deck, lounge pergola, fireplace and unlimited WiFi included. 15 minute walk to Windsor train station, 10 minute walk to the local shops, gyms also within walking distance. About Your Room: Large bedroom, wooden floor boards, high ceilings and a big built in wardrobe with shelving and hanging space. Looking for one, maybe two female housemate/s. Big place, so plenty of space where we can hang or do our own things. Ducted air conditioning. 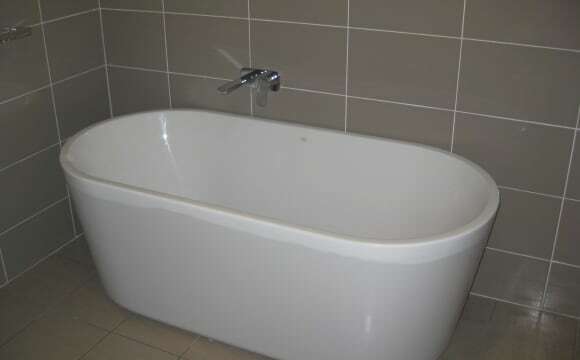 If I got one housemate, you would have your own bathroom, if I got two you would share with them. Unfurnished rooms. Nbn unlimited internet. Brand New house no prior occupants. Quiet new estate but less than 2km to a nice local pub. Large double brick, 4 Bedroom, Spanish villa style house on 2.5 acres in a very peaceful street in Wilberforce - 10 mins to Windsor. The available room has lots of natural light with 2 north facing windows. 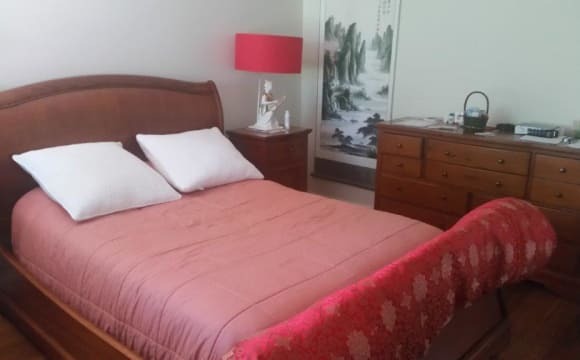 The room comes furnished with a king single or double bed, bedside table, lamp, clothes rack; tallboy drawers (other furniture may be included depending on requirements). The house features include large kitchen and dining with 5 burner gas cooktop; electric oven, fridge and microwave. Large lounge room with double sided fireplace. 2 toilets - one inside + one outside. Large bathroom with double vanities, double shower and large sunken spa bath. Laundry includes top load washer. The property offers a lot of privacy with pool, pergola; BBQ areas. Sharing with 3 others. Prefer a clean person working fulltime &amp; someone staying long term. You will probably need a car to live here as there is limited public transport. Preferably looking for a female, but open to a guy. Either way must fit in with current housemates. No couples. Smokers outside only. 1 kelpie here already allowed indoors. Currently 2 females plus 1 male. Unlimited internet included. Electricity Bill not included (we have solar power &amp; bills are shared equally with all occupants). House cleaning inside is shared. Lawns and gardens are maintained by owner. 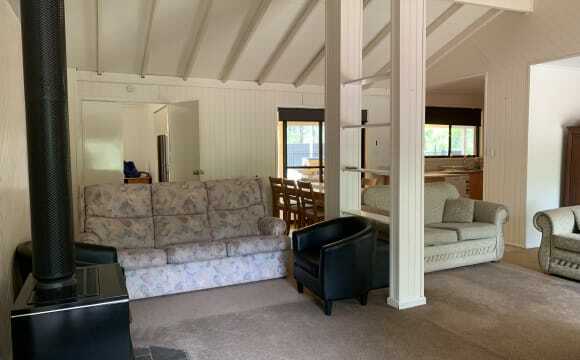 House is just over 4 years old with outdoor alfresco , BBQ and ducted AC throughout -available room ( 2 to chose from fully furnished ) is approx 3x3 with mirrored wardrobe , own 3 way bathroom at opposite end of house , internet included . I am a young professional and have a bedroom in a double story house for rent. Each room is $165 per week, including reasonable use of water, electricity, gas and unlimited usage of the Internet. I am looking for working professionals or full time students who are honest, trustworthy, tidy, considerate and will respect others. (Ideal for those who work in Norwest Business Park) Long term stay preferred but will consider short term stay as well. 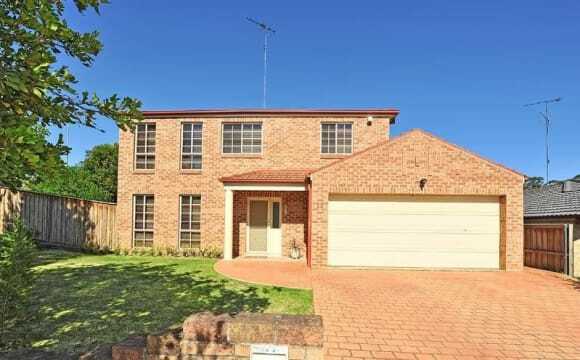 The house is 5 minutes’ drive from the Rouse Hill Town Centre and 10 minutes’ drive to Schofield Train Station. There is a bus station (610, 610X and T75) right in front of the house, so it is easy to get to the Transit Interchange at Rouse Hill Town Centre. The house is spacious and has a separate formal dining, meal area, alfresco, two living areas downstairs and two rumpuses, one upstairs and one downstairs. The room is carpeted and has a double bed with mattress, bedside table, ceiling fan and built in wardrobe. TV, oven, microwave, fridge, kettle, toaster, dishwasher, iron board etc. are available for use. There is an internal laundry with washing machine. Gas cooking is also available. 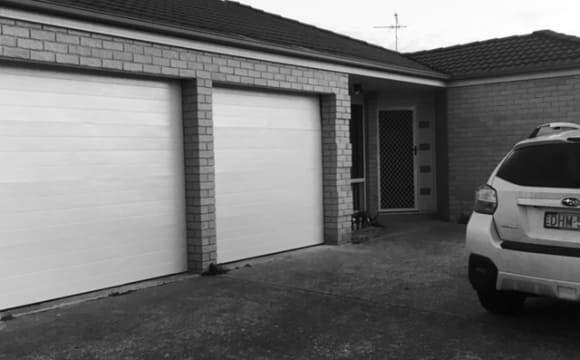 The house is situated in a cul-de-sac, so it is safe to park your car on street. No smoking. No party. No visitors staying overnight. About this house: •	Experienced share house in the local area with positive reviews from previous tenants •	Goal is to provide an affordable, flexible and safe accommodation •	Respectful and supportive environment •	Clean and tidy •	Quiet living style •	Suitable to those who are firstly moving from interstates Please send me a message if you would like to inquire or organise an inspection. Hopefully, you will enjoy your stay here. To move in, 2 weeks bond and 2 weeks rent. Rent is paid two weeks in advance. Own bathroom, great location, quiet street. Air conditioning - Upstairs and Downstairs WiFi Built in wardrobes 2x Lounge rooms - 1 Upstairs and 1 downstairs 3x Bathrooms with showers and toilets (Upstairs and downstairs) 2 car carport Located within WALKING DISTANCE to Schofields train station, bus stop, Woolworths, Doctor, Dentist, Chemist etc. 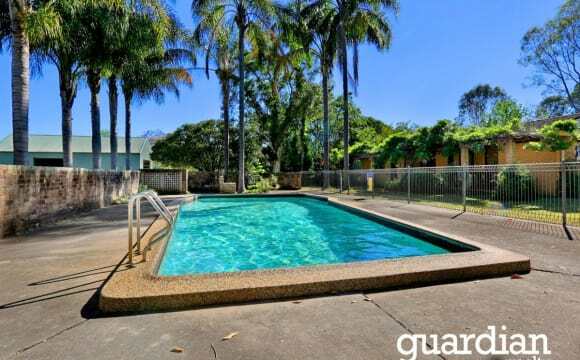 Its 15 minutes walk to Tallawong Station and 5 minutes drive to Schofields station. Brand new good looking house. Quite and nice brand new street and landscaping as well. You’ll be living in a brand new five bedroom, five bathroom home. The two rooms that are available both have ensuites and walk in robes so you have loads of privacy. There are two living areas - one upstairs and one downstairs, a huge kitchen, a theatre room and a studio. Outside there is also an alfresco area. Currently the house is only partially furnished, so if you have any furniture please bring it with you as the house is enourmous. The owner currently has one of the rooms although will not be living there and will rarely be there. 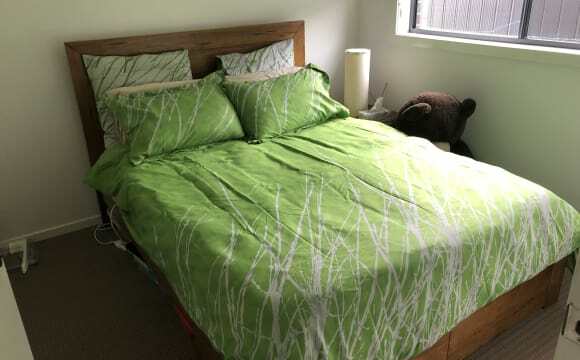 ROOM FOR RENT (SCHOFIELDS NEW HOUSE) One Bedroom available for rent in a beautiful house. 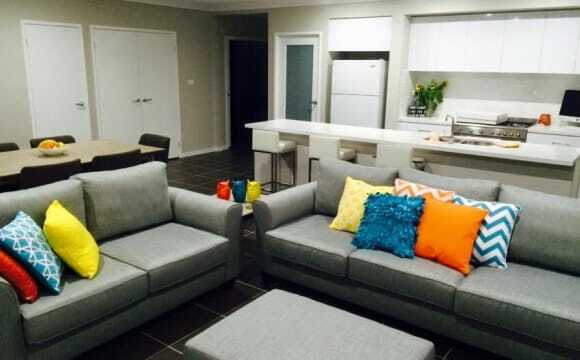 $180 pw bill included unlimited NBN internet access available. Living/dining room, new oven, cooktop, dishwasher, laundry, ducted air conditioning. The property located at the quiet street 2 min away from Schofield Train Station and Woolworths by car, 10 minutes walking distance. Easy going and friendly flatmates. Looking for respectful, tidy, quiet female. If you are interested please contact us by replying or SMS us. We'll reply immediately. Or please call us only after 5pm weekdays or anytime at weekend. Inspection is after 6pm during weekdays, or anytime in the weekend. We respect your privacy and individual, the house is brand new and clean, the sitting area up-stairs is for your enjoyment and relaxation. The room is fairly roomy, has a built in wardrobe and ceiling fan located very close to marden park shopping center that includes all home office and work needs plus there is a Costco which I hold a household card for everyone's use plus we have a mini shopping mall at end of street on other side of tracks that accommodates dominos Chinese bottle shop bakery and two very nice restaurants plus a medical center there is also another shopping area available in the next town which is a ten min drive which has a lot of other venues too cater your needs We love having bbqs and a little drum fire out the back of a weekend whether as a house or with friends good times are always on the cards For those in need of public transport local station is a fifteen min walk or a five min drive plus we have a very handy Woolworths right next too it Friendly neighborhood that is very quite and well looked after even with local developments going on you can smell the serenity There is two shared lounge rooms with foxtel available. NOTE: No other dogs can be accepted on to the property. Brand new house. Never been lived in. Only been here a month. A very quite area. Bushland across the road and they can’t develop on. Big house. You can have two rooms. There is a fairly big backyard.